After years of being stalled in the state Legislature, the “Bigger Better Bottle Bill” has its best chance for becoming state law this year, according to Environmental Conservation Commissioner Pete Grannis. • Connecticut is considering a new bottle bill that would increase the nickel deposit on cans and bottles to 10 cents and expand the recycling law to include water and sports drinks. Jones Soda has enlisted Ricochet Partners in Portland, Ore., to launch Jones GABA. • PepsiCo, Inc. announced that its fourth-quarter and full-year 2008 earnings conference call and slide presentation for financial analysts and investors will be webcast live over the internet on Friday, Feb. 13, 2009 at 9 a.m. eastern time. Symrise appointmented Larry Garro as Vice President, Supply Chain for the Food and Nutrition Division in North America. Garro has been associated with Symrise for 32 years. Before assuming his present role, he was Senior Director, Operations. Prior to that position, he was Director of Manufacturing. 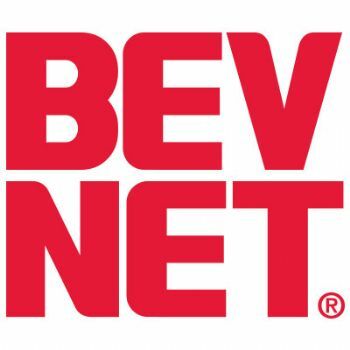 • National Beverage Corp. named Cecil D. Conlee as a director and member of its audit committee. Mr Conlee is replacing Lee Kling who served as an independent director and member of the company’s audit committee from 1993 until July 2008. Mr Conlee has served on the strategic planning committee of the company since 1995 and was a lead director of Burnup & Sims for more than 20 years. • Takasago Americas announced several new appointments in the areas of flavor sales, sensory and technical flavor development. Brian Coady, Takasago’s new Senior Account Manager Previously, Mr. Coady was Sensient Flavors’ Global Account Coordinator and prior to assuming that role, he held key sales positions at Symrise, Dragoco, and FMC Corporation. Anna N. Chanco named Flavor Sensory Analyst Before joining Takasago, Ms Chanco was an assistant scientist at Reckitt Benckiser and worked as a Flavor Technician at Pepsi Cola Company. Jeff Rotondi, new Takasago Senior Flavor Technologist Prior to joining Takasago, he was associated with Chr Hansen, serving as a product development scientist in the savory group, a position he held for six years. Happiness.” • About a month after robbing the Yorkco Beverage, police said the same man came back to rob it again. • An Indiana Star-Press writer railed about his state’s state beverage: water. • Coca-Cola has disclosed that it uses a natural dye called carmine, which is derived from dried cells of Cochineal, a parasite living on cacti in tropical and subtropical South America and Mexico. • The Consumerist cited Snapple‘s Acai Blackberry juice drink for not containing any acai. South Florida’s Power Trip Beverages, added Kwencher flavored water to its existing bottled water portfolio. The company, also responsible for Ron Jon Surf Shop premium waters, has partnered with Utah-based Mount Olympus Waters to reintroduce Kwencher into the US market. Supermodel Christie Brinkley will wear a milk mustache again in a new ‘Got milk?’ campaign. • JEWEL-OSCO, a Midwest food and drug retailer, and Coca-Cola will honor Black History Month with special in-store promotions, beginning Thursday, February 5, through Sunday, March 1. • Function Drinks was in Park City, Utah to keep festival guests in good health during the 2009 Sundance Film Festival. • Monster Energy has signed with Kevin Harvick Inc. to sponsor Ricky Carmichael in the NASCAR Camping World Truck Series during the 2009 season. • Coca-Cola India and SOS Children’s Villages of India will jointly undertake rainwater harvesting in 39 SOS villages. • TalkingRain is the official water sports beverage of next month’s 26.2 with Donna: The National Marathon to Fight Breast Cancer. • Coke Zero is slated to make its first Super Bowl appearance. In a happy coincidence, the 30-second Coke Zero spot will feature a key player in the Pittsburgh Steelers-Arizona Cardinals matchup. • Coca-Cola will be the official soft drink of the Holland NASCAR Motorsports Complex in 2009. • Coca-Cola Co. is launching a new ad campaign on “American Idol” to draw consumers back to soft drinks. The campaign, tied to its “Coke Side of Life” theme, will use a new song they packaged just for the promos. With people contributing like Gnarls Barkley’s Cee-Lo, Patrick Stump from Fall Out Boy, Brendon Urie from Panic at the Disco and others. • Dawn Hudson, former President and CEO of Pepsi-Cola North America, discussed her career, the economy, leadership and advice she has for students with the student newspaper of Lehigh University. • Ocean Spray will be participating in a yearlong, employee-driven food drive to benefit The Greater Boston Food Bank. • Dr Pepper Snapple Group took home top honors from the inaugural Product of the Year USA awards. Canada Dry Green Tea Ginger Ale won Beverage of the Year and Mott’s for Tots won in the Kids Nutrition category.